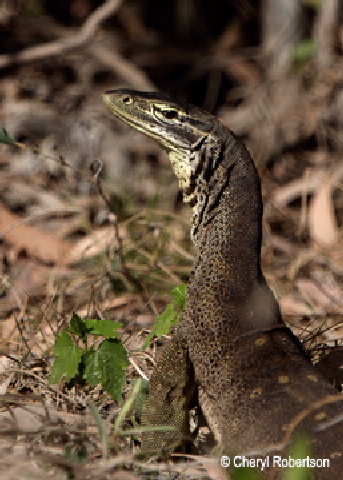 This ground dwelling goanna feeds on insects and small vertebrates. Similar to V. gouldii but has alternating transverse rows of pale spots and larger dark spots. 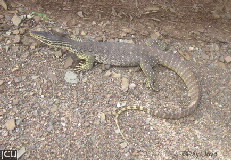 The end of the tail is paler but with dark bands, lower surface paler.